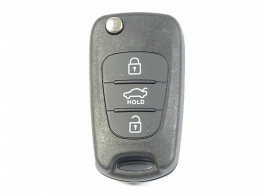 You can use your current Hyundai key and electronics and put it into this key so it is like new again. More often, the problems with the remote control are fixed this way. Suitable for various Hyundai models. Reprogramming is not necessary! The key housing is delivered without electronics and transponder. This key will replace your current folding key. The Armster armrest is ideal for long rides in your Hyundai i30 2012 - 2017! Are you always looking for a suitable place in the car for your wallet, keys, phone, or coins? The Armster 2™ offers the right solution and is also suitable for your Hyundai i30 2012 - 2017! The armrest is a unique automotive concept with comfortable leather finish on top, easy to adjust due to the 90-degree tilt of space and enough storage space to keep your car clutter free. In addition to that, Armster 2 armrest allows you to store your personal belongings in the armrest and in the extra portable pocket. The PORTABLE POCKET is an extra innovative feature of the armrests. Keep your driver license, wallet or cell phone in the portable pocket, clip to your belt and take it with you. Armster 2 is available in the color black and has a high-gloss piano lacquer trim with a beautiful leather finish on top. The Armster armrest feels strong and is a real upgrade to your car! A very comfortable and practical addition to your car! Armster 2 is available in the color black/grey with a beautiful black leather finish on top. The Armster armrest feels strong and is a real upgrade to your car! Didn't found what you where looking for? Don't worry, because we can provide a lot more accessories and parts than here on our website! Currently, we have more than 10,000 genuine accessories and parts on our website, and there are more and more coming! Couldn't you find the item you are looking for on the website? Please contact us. The easiest way is to send an e-mail to [email protected] with your car's data such as, manufacturer, type, version and year of construction (preferably a chassis / VIN number) and of course the item you are looking for. We will come back to you as soon as we can! Do you follow Original Car Parts? Stay informed via our social media channels or subscribe to our newsletter! Always be the first to know about our promotions! Why should you choose for Original Car Parts? At Original Car Parts you can find the largest online assortment with the newest original car parts and accessories for the keenest prices and the best service! Original Car Parts is the company for all your genuine Opel, Ford, Fiat, Alfa Romeo, Abarth, Peugeot, Citroën, Volkswagen and Audi parts for both individuals and businesses.